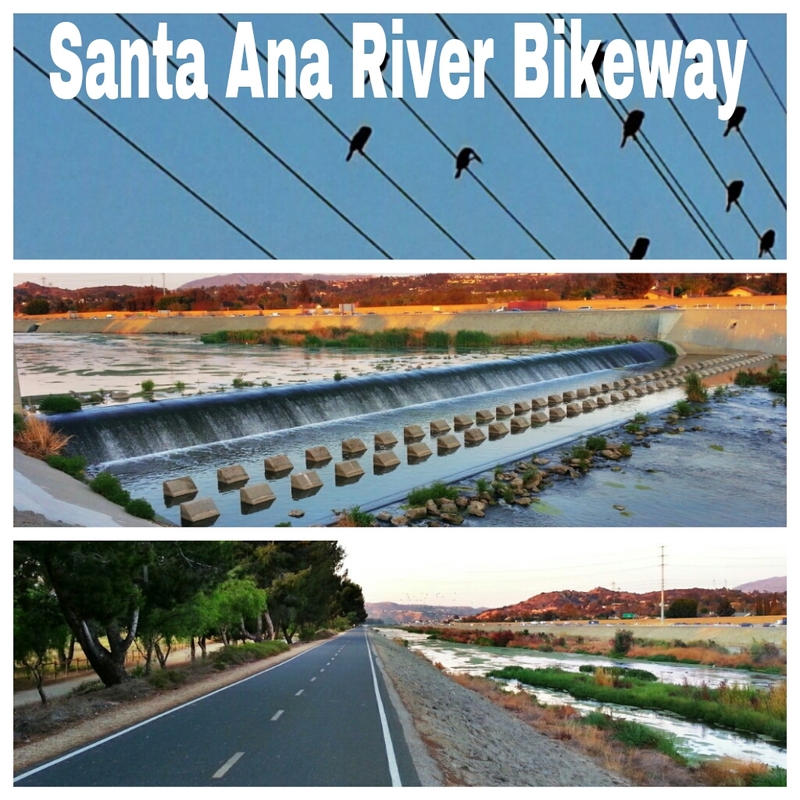 Santa Ana River Bikeway/Santa Ana Rivertrail | Trace B. There wasn’t much going on tonight on the bike path, just me and my Garmie. As boring as it might seem running up and down the Santa Ana Bikeway/River Trail, I find it very convenient to train on during the week. What I like most about it is the option of running on the dirt trail that is parallel to the paved path that literally goes all the way to Huntington Beach. I used to do my long 20-milers on this path but now it seems that I typically run here on speed days which are Tues/Thurs, and when I am not in Central Cali. Obviously, speedwork doesn’t allow me to get bored during the run, and if I do, I’m probably not running fast enough. Tonight on the bikeway, I had one of my longest interval type workouts in a very long time: 6×1-mile. Last week on Tuesday I had to do three repeats and when I finished, I foolishly said, “…probably could have done 6 if I had to.” I guess this is where I should say that I should be careful for what I wish for but then I realized that I only had three the week before because I was coming off of the Marin Ultra Challenge 50 and my coach was probably taking it easy on me. Anyway, like usual, I waste a lot of my day worrying or dreading a workout that ends up being a great run and today was no different. I warmed up for a little over a mile and then continued into my mile repeats, jogging about a quarter mile in between each before cooling down and snapping pics for this post. Definitely nothing to brag about, just nice to see that I still have a little speed in my legs since running these longer races and I am starting to get excited for my upcoming marathon next month.